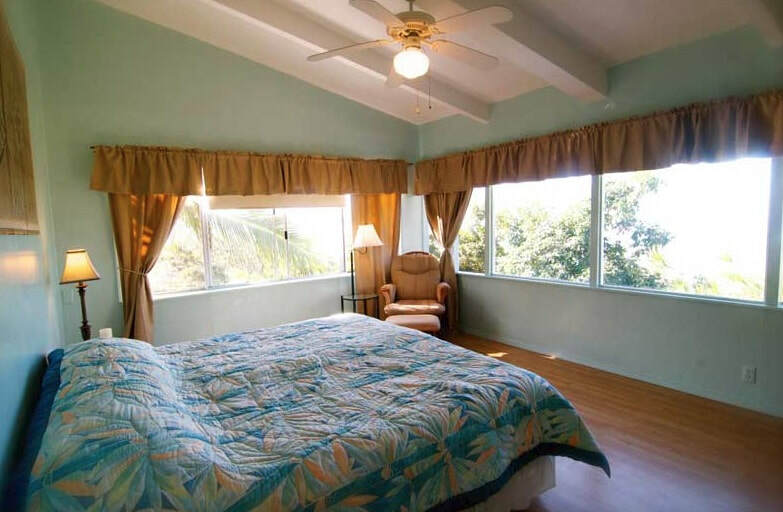 minutes away from beaches, restaurants and shopping areas. 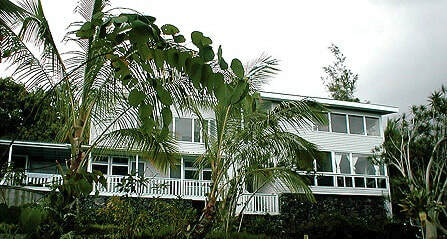 Ah Paradise Bed and Breakfast is the ideal of "getting away from it all", relaxing your spirit and body in the deepest, most regenerative way. The quiet serenity leaves one feeling totally renewed. Acupuncture, Chiropractic, Shiatsu and Traditional Massage modalities are available right on site. ​Private tiled bath. 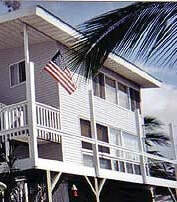 Sleeps 2 $95 per night plus $25 one time cleaning fee. 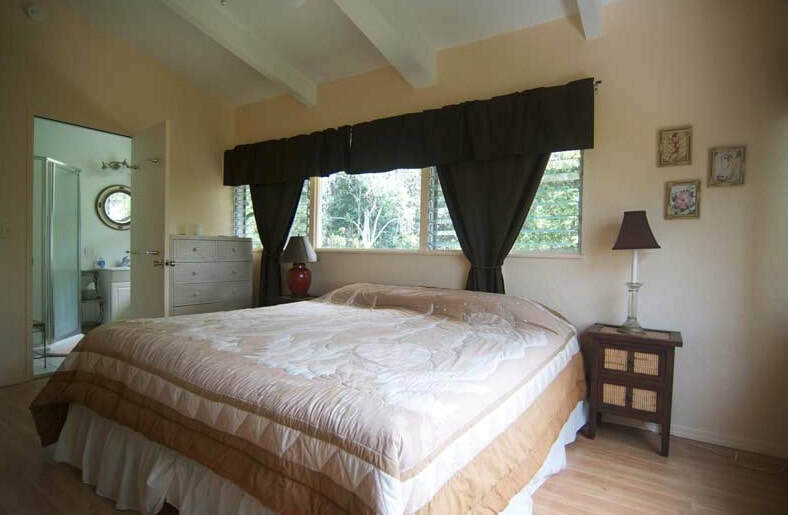 ​ Large bedroom containing 1 king bed and 1 twin and separate sitting/bed room with 1 twin. Private tile bath and private entrance. ​ King bed has magnetic Nikken mattress. 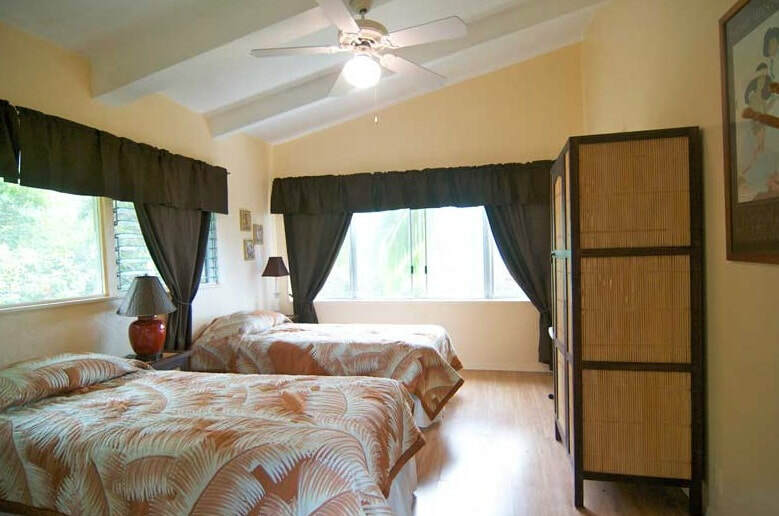 $125 per night for 2 people – $150 for 3 people – $175 for 4 people plus $25 one time cleaning fee. ​A completely self contained unit. Sleeps 4. $200 per night + $50 one time cleaning fee.